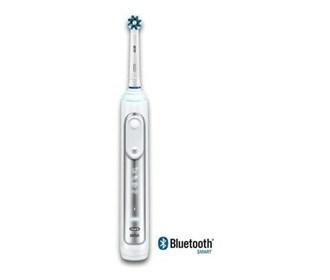 The Oral-B Genius 5000 rechargeable toothbrush with bluetooth connectivity features presicely angled bristles that reaches deep between teeth to remove more plaque than a regular manual toothbrush and leave your whole mouth clean. The Position Detection technology allows you to see where you’re brushing so you can adjust your technique and never miss a zone. The Oral-B Genius will visually alert you when you're brushing too hard. 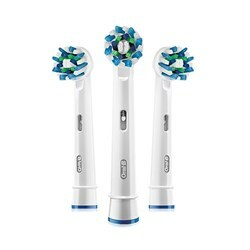 Plus, the toothbrush connects to the Oral-B's app for personalized brushing routines and daily monitoring. The built-in timer alerts you when you've brushed for just the right amount of time, for a superior clean. The GENIUS 5000's most revolutionary feature. By connecting your smart-phone and the Oral-B App, the GENIUS 5000 uses facial recognition technology to guide your brushing,zone to zone. 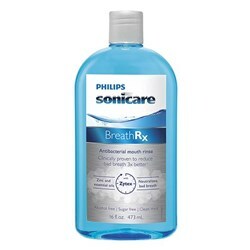 Your dentist wants you to brush with just the right amount of pressure. The Oral-B GENIUS 5000 will visually alert you when you're brushing too hard. 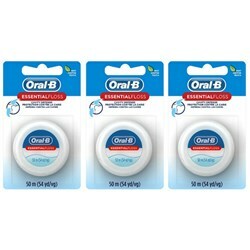 The Oral-B GENIUS 5000's unique rounded brush head is inspired by dental tools. 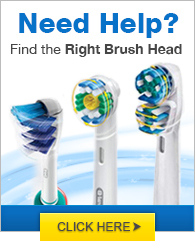 Because it's rounded, the brush head will surround each tooth for a more through clean. The built-in timer alerts you when you've brushed for just the right amount of time, for a superior clean. The Oral-B Genius 5000 Toothbrush has many exciting features for users of all types. You can extend the lifetime of your Oral-B Genius 5000 Toothbrush with the purchase of a FactoryOutletStore Factory Protection Plan. 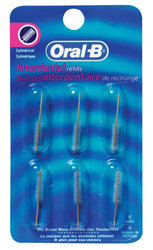 See the Oral-B Genius 5000 Toothbrush gallery images above for more product views. 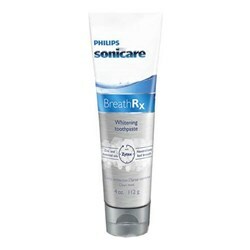 FactoryOutletStore stocks a full line of accessories like BreathRx Antibacterial Mouth Rinse, BreathRx TongueScraper, and BreathRx Whitening Toothpaste for the Oral-B Genius 5000 Toothbrush. 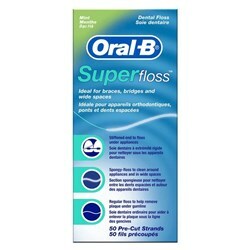 The Oral-B Genius 5000 Toothbrush is sold as a Brand New Unopened Item.